Miss J Sews! : Ikea gets me domesticated! What the hell was I thinking when I bought this material? It's called Gunilla and is from Ikea. It came at time when I had to buy stuff for the house, hate buying housy stuff, I would wander over to the material section where I felt happier. Now normal people would know and recognise that Ikea is a furniture store so the fabric would be geared towards curtains and upholstery. I don't let that stop me, my motto is "if it's pretty, get it if you can afford it and worry about what to do with it later!" 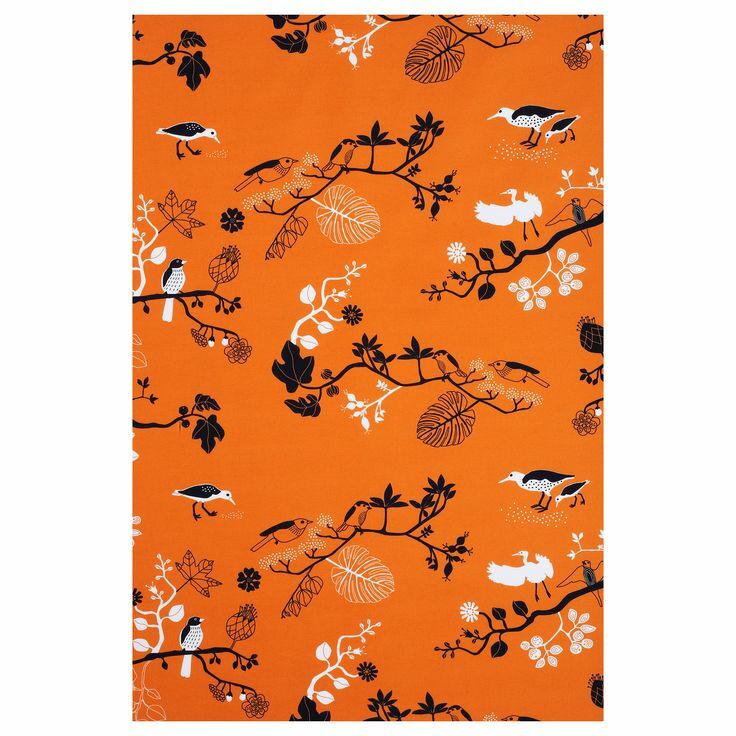 Buyers remorse kicked in when I realised I had this hella stiff cotton fabric on my hands with birds, branches and its bright orange to boot! Frantic internet searches threw up folks who had used it to make all matter of garments, however, I'm not going out on road in this as a skirt or as bag. That's. just. not. happening. Days, weeks, months, years pass... and then it hits me. I fancied a twee "girly" type of apron to go with the kitsh design of the fabric. I used my ruffle foot to make the frill at the bottom, love that foot, but it'snot designed to handle fabric this thick. I love my two huge pockets. Now what to cook!? Lol, Sheer genius, your apron came out great, well done! My mother recently came home with 10 IKEA Curtains, which she bought at a super bargain. The curtain fabric was the richest, most beautifully textured cotton that I have ever laid eyes (and fingers on) and in a nice plain off-white colour too, Ah! I immediately asked her nicely and grabbed one. I know it will be perfect for a dress. Thanks Nedoux, really appreciate your comment. Have you made a dress with your Ikea fabric yet? Your skills are so good, I'd be excited to see! Ooh, it's gorgeous! 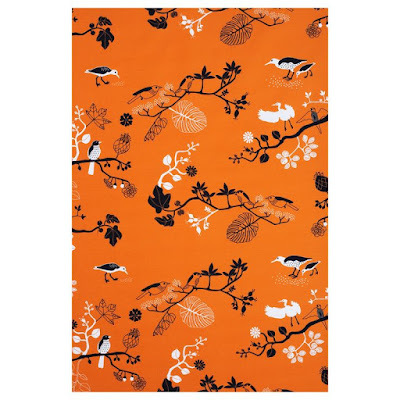 The print is divine and often Ikea fabric is surprisingly a very lovely quality. I think I couldn't have resisted going with a skirt though :). Hello Carolyn, that's a lovely thing to say thanks! The material is awfully stiff, it might have made a good litttle pencil skirt, but all I saw was apron! I used mine to make a table cloth. And then the leftovers to make a quick toiletries bag. It has turned out to be my most favourite toiletries bag ever...the perfect amount of sturdiness. Thanks for the comment. I didn't even think toiletry bag. That's a good idea. Did you post it? I'd like to see, I'm going to pop over to your blog and have a look. The studiness of the fabric is great, it's like a resonably priced denim. Isn't it amazing the global reach that Ikea has? !